Before June of 2012 we were just a simple happy family. My husband, our 2 kids and myself. Driving the kids to school, soccer, baseball and wrestling. Dividing and conquering. Taking family trips and boy did we take some amazing trips. We did quite a few Cross Country trips with the kids. They've seen all the States with the exception of Hawaii and Alaska. In June of 2012 our lives got turned upside down. 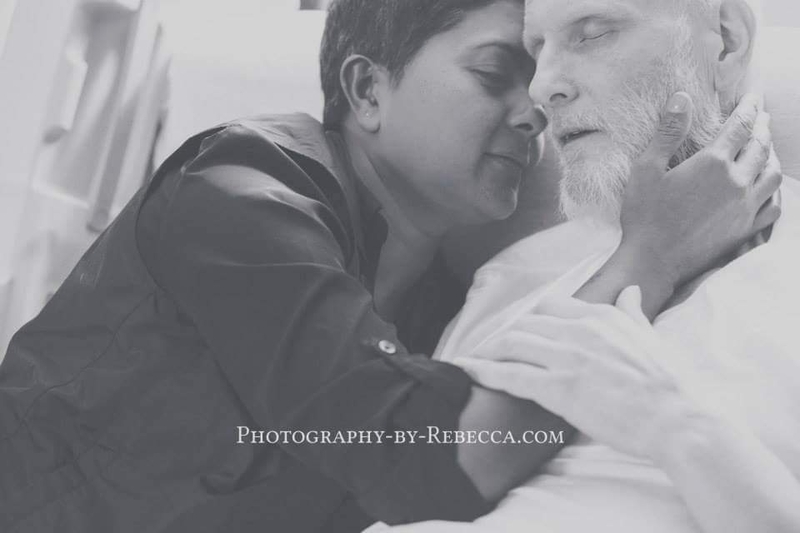 My beautiful husband was diagnosed with Pancreatic Cancer. Sure it was tough to hear this. But we decided as a family that we didn't want to know what stage or how long he had. We knew that we wanted the best treatment and that he wanted to live. With that our lives became so hectic. There was chemo, Radiation and many trips to doctors. Something that we did hand in hand. Mike had a few bucket list things that he wanted to do: go to the Florida Keys, to Disney one more time and taking his son to the Corvette Factory. We did it all even though he didn't feel so well some of the times. On January 21st 2015 Mike lost his battle. But he certainly gave it his best fight. I am so proud of my husband for the way he traveled this journey. The doctors and Staff at CINJ are so amazing. We cannot say anything negative about the care we received there. I say we because they didn't just treated my husband they treated all of us. Cancer is not only a problem for the person battling, but for the family as well. Dr Poplin will always have a special spot in my heart. I have never met anyone quite like her. Whenever we told her about the crazy trips we were planning, she always encouraged us to go. I know that the CINJ is doing great work to bring awareness and hopefully someday find a cure. In Mike's name I would like to do my share to see a cure someday. On the memo line, please write: "In honor of Mike Wojcik and the Wojcik Warriors"